Welcome to Santorini, the most fascinating island in the Cyclades! For many years now, we have been a small family-run hotel/B&B located on the south-east side of the island. We are just next to the well-known black beach in Perivolos-Perissa, where you can find activities for everyone, either for the family and children or with bursting nightlife in the local bars and discos. For your stay, you have the choice between comfortable rooms with a yard, studios or maisonettes with private bathroom, kitchen and balcony. All rooms are air-conditioned. If you want to taste the famous traditional Greek cuisine, simply pop into the restaurant, which has a sea-view, where Julia will cook for you while you will enjoy drinking a fresh beer or local wine listening to smooth Greek music. 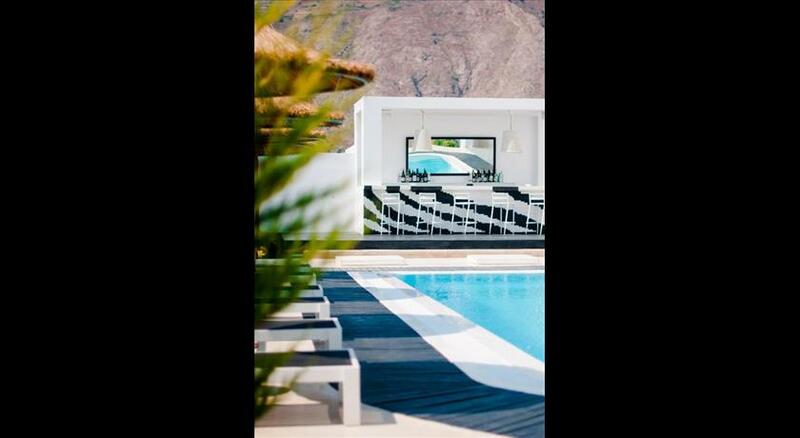 The hotel/B&B is easily accessible by the public transportion (bus) that will take you directly to Fira (the island's capital and main town) or Oia to admire the most beautiful sunset. Also, feel free to ask us for information on how to rent a car or bike at good rate to explore the island at your own pace. Santorini is well connected to many islands and we can help you book tickets by ferry or plane. 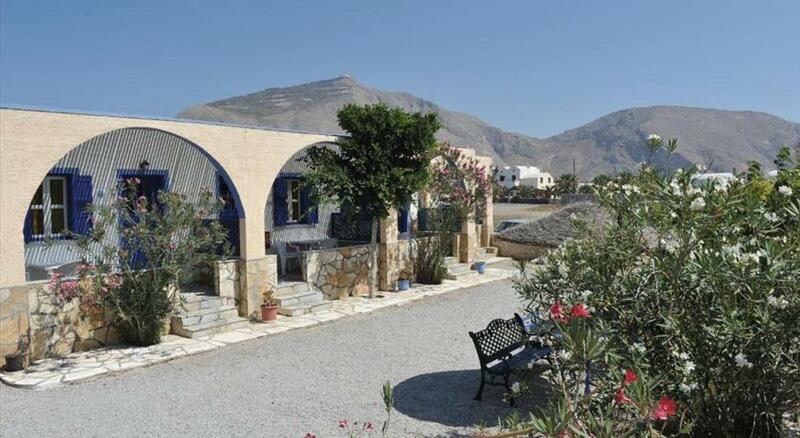 Located just 100 metres from the black sand beach in Perivolos, Perissa, this complex offers typical Greek hospitality with a traditional Greek kitchen. This small, family-owned hotel provides 10 comfortable guestrooms at a competitive price. The hotel is situated in a calm and quiet neighbourhood, allowing you to really relax and make the most of your time here. 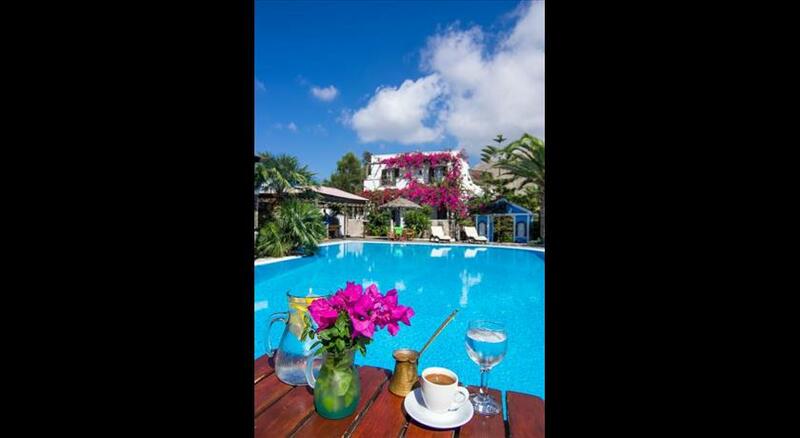 Take a dip in the heart-shaped pool, and in the evening take a seat in the restaurant, serving home-cooked Greek specialities, cooked from the freshest of local produce. American and honeymoon breakfast can be prepared upon charge. Daily maid service is included. Please note that children up to 5 years old enjoy discounted prices at breakfast. Please note that for stays of 3 nights and more, one-way transfer from the airport or port is free of charge.